As you all know, this is my most favorite time of year! I think every season holds magic within but Autumn really gets me. I live in Los Angeles so I can’t really grasp the whole weather change, but even if it is still 80 degrees outside Fall is in the air. I love everything pumpkin and dressing up in costumes. This time of year marks the start of holiday baking which is my absolute favorite thing to do. It also is the time where sweet treats and candy begin to pile up. Which again, I’m all about! Our family creates a lot of mini traditions through out the year. For example, during the Spring we visit the Flower Fields in Carlsbad. Summer time is filled with long beach days and sleep overs at the family beach house. We do pizza and a movie every Friday night. 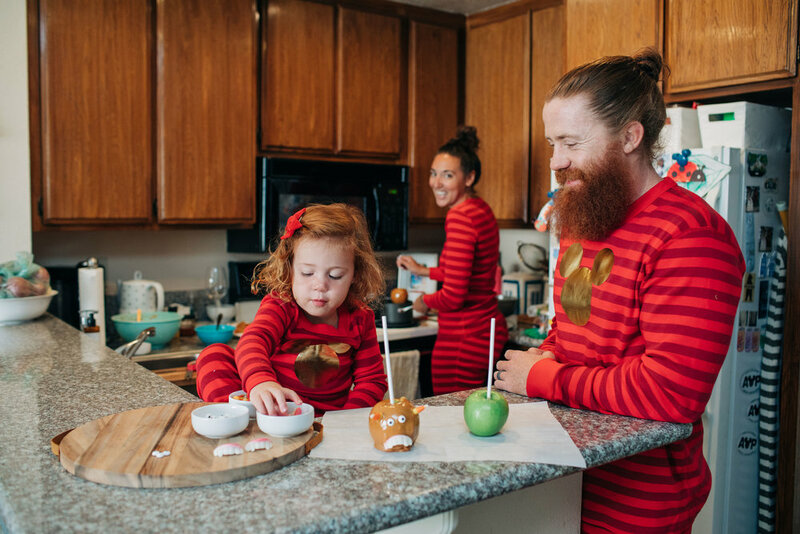 We love to celebrate every little thing and doing small traditions helps us create memories centered around just about anything. 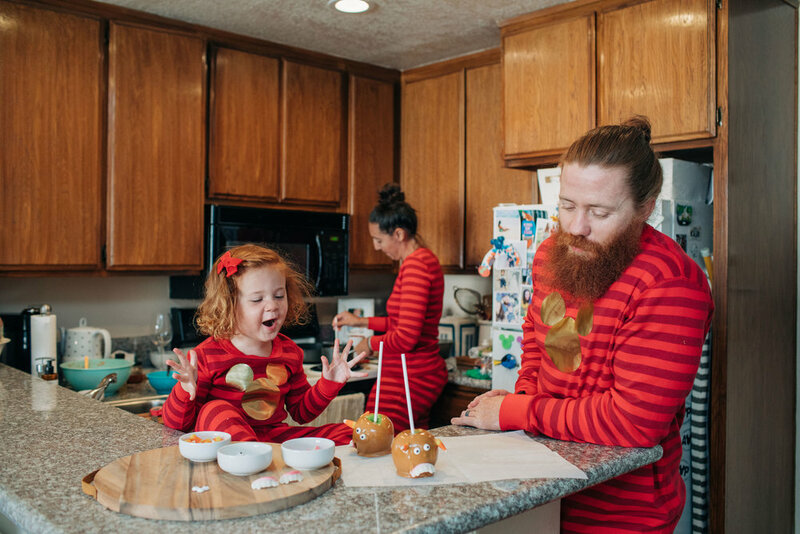 I started this caramel apple tradition when my son Ryan was just a baby. In our small apartment I dipped caramel apples and while Ryan was just barely two months old, Dan and I ate them together. Since then we’ve made them every year and as Ryan grew older he began to help decorate them. For these I just use store bought caramel candies and melt them down smooth. I use lollipop sticks from the craft store and stick them into each apple. 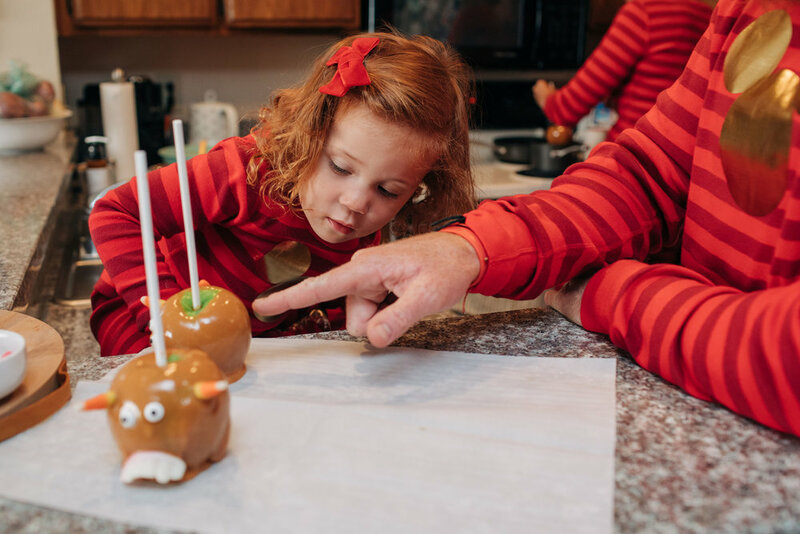 This year we decided to use fang gummy candies and sprinkles that look like eyeballs to decorate our apples. I put all the decorations into small bowls so we can all choose whatever we wanted. Be sure to lay out parchment paper for the apples once they are dipped in caramel and decorate them while the caramel is still soft. Be really careful as the caramel can be hot. Once the apples hardened (and after we ate dinner) I cut one to share while we watched Nightmare Before Christmas. We have some big time traditions this month like dressing up in different costumes and visiting a pumpkin patch. I also host an annual pumpkin carving party at my house. Though making caramel apples is important too and usually helps us kick off the Autumn season! 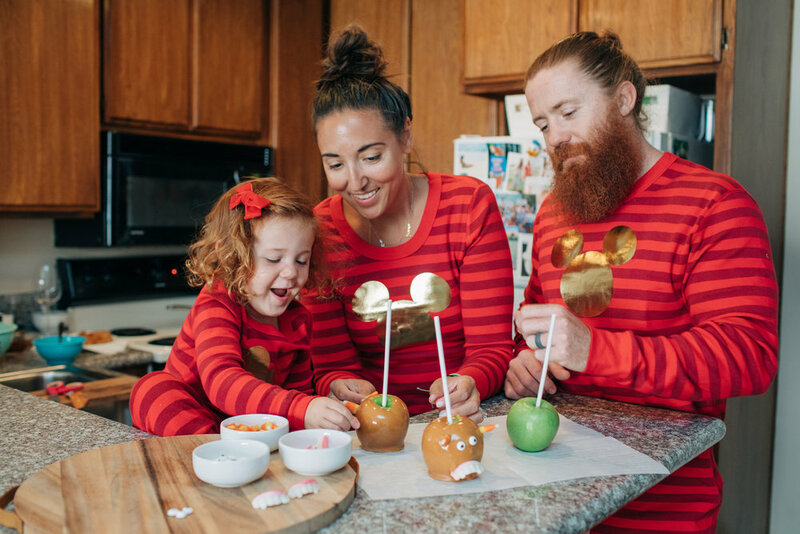 What kinds of Fall family traditions do you do? How we put together a simple lemonade stand for friends and family to kick off our Summer!